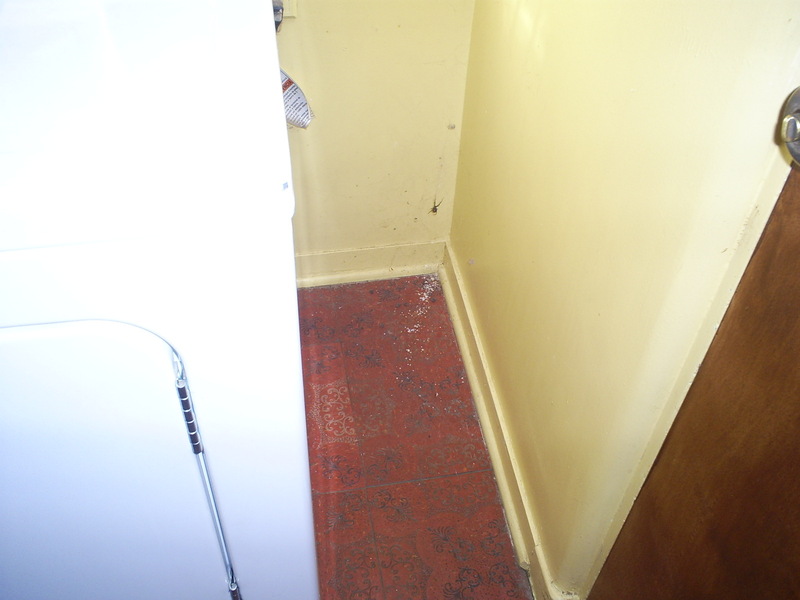 I am extremely loathe to kill anything (with the exception of members of ISIS, if I had the chance), even insects, unless they are a nuisance in my house (ants, cockroaches), and even then I prefer to employ an insecticide that will liquidate them out of my sight. Flies of course must be swatted, since they simply refuse to go away; some Greeks actually featured the housefly as the device on their shields because of this “brave” persistence in a “fight.” Housekeeping fanatic though I am, I am reluctant to clean away a spider web if the builder is still in residence, stopped by the thought of how much energy was expended by the little creature in spinning all that silk. Yes, I am becoming a borderline looney. Black widows (genus Latrodectus) occasionally pop up in my house, and I generally capture them and release them outdoors, though they are not really dangerous if left alone. 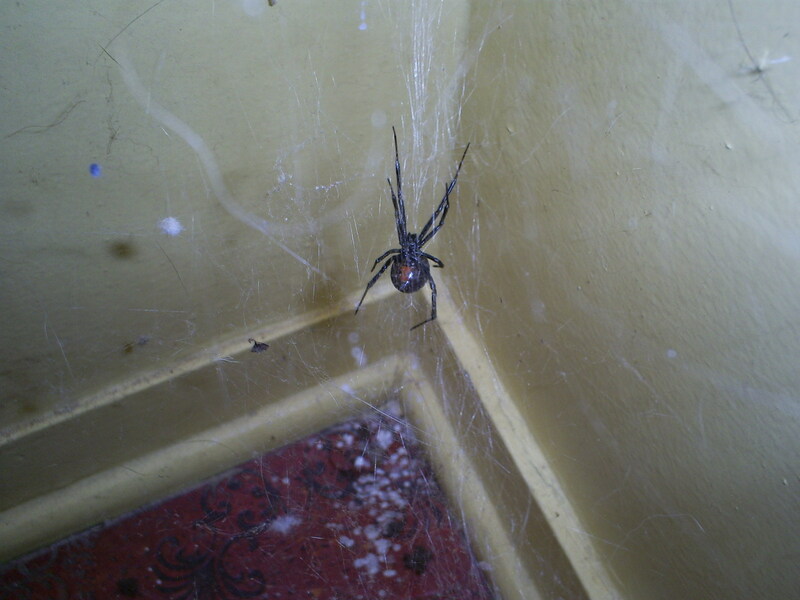 Some months ago, however, a western black widow (Latrodectus Hesperus) began setting up shop in an out of the way place in the utility room off my kitchen, constructing her ramshackle web in a narrow space between the dryer and a wall. I decided to allow her to take up residence so that I might observe the behavior and development of this darkly beautiful spider over the months. The result was a tiny arachnid abattoir, a slaughterhouse for unfortunate bugs. 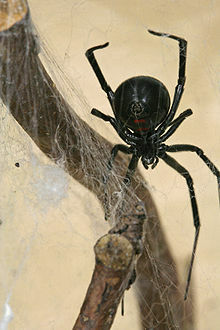 The adult western black widow female has a black body 14-16 mm (1/2 inch) in length, usually with the distinctive red hourglass on the underside of her abdomen. The male is half this length, tan with light stripes and a much smaller body relative to his legs. 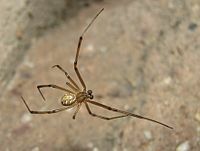 Contrary to the usual practice, the Hesperus female rarely devours the male after mating, making her more of a black divorcée than a black widow. She has poor eyesight, and hanging upside down in her patchwork web, she is alerted by vibrations in the silk to the presence of prey, which is bitten and wrapped in a cocoon for later munching. A black widow female can live several years, so my eight-legged sweetheart could be here a while. However, if a male manages to sneak into the house and an egg sack appears, she and her brood will be carefully relocated to a protected spot outside.